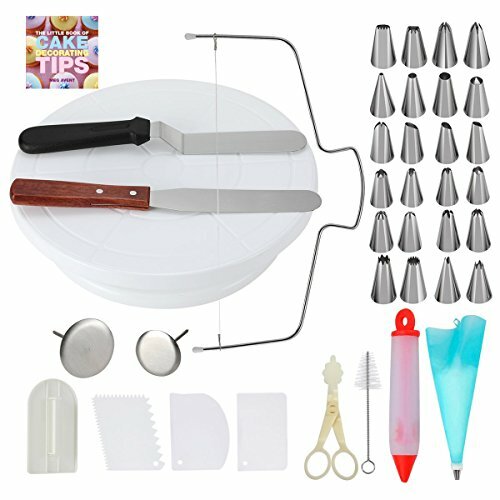 The Set Includes, High Quality Non-slip Turntable, 24 Pipping nozzles, Cake Level cutter, Silicone Icing bag, 2- Spatulas, 3- Scrapers, Smoother, Cleaning Brush,Syringe, Flower Nail, Flower lifter and The little book of cake decorating tips by Meg Avent. 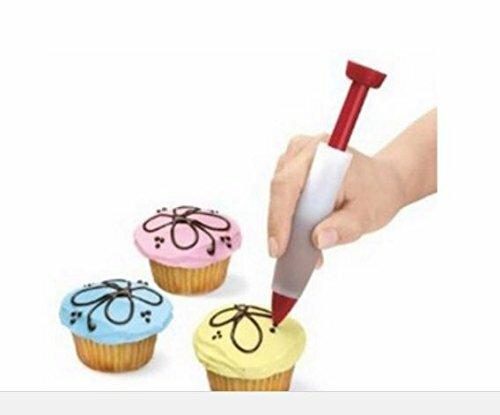 This all in one set has the essential decorating supplies for a novice or an experienced baker. 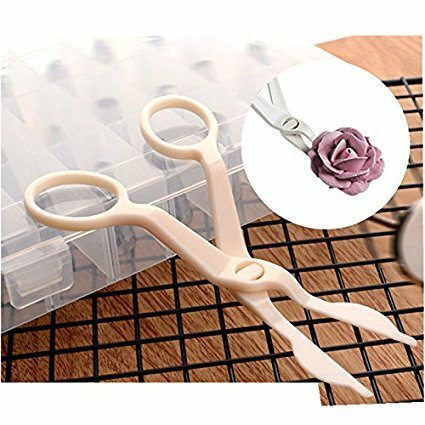 Learn how to pipe beautiful borders, gorgeous rosettes, darling roses, or other intricate flowers with buttercream frosting or royal icing. If you’re a more experienced decorator, you’ll appreciate having this tip variety on hand when that creativity is flowing and you just have to express yourself! 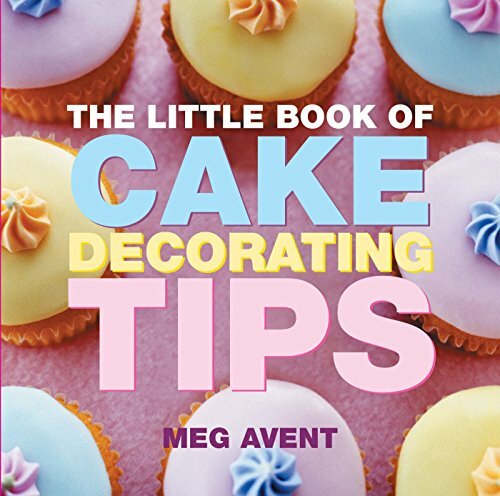 The mini book Included has fifty essential cake decorating tips. 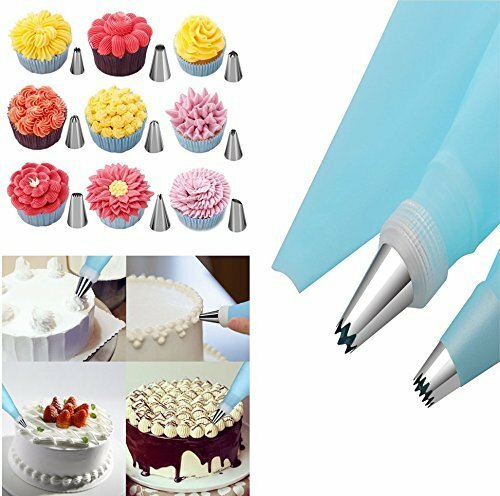 Bake anything from cakes, cookies and muffins like a Pro. This is a great gift to give your loved ones for Christmas, Birthday, Wedding, Anniversary, Mother's day, House warming etc. tips are made from the highest quality, 100% food grade stainless steel. 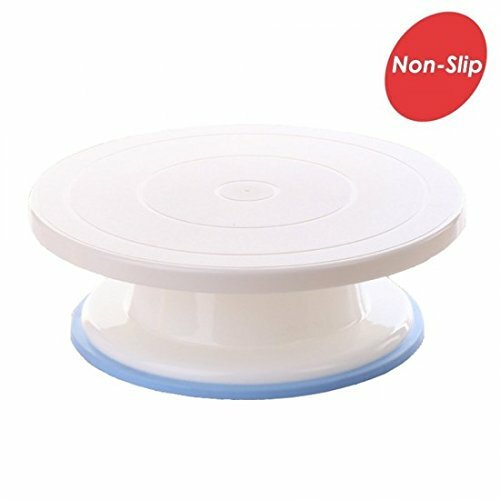 *They are non-toxic created for food-grade use. 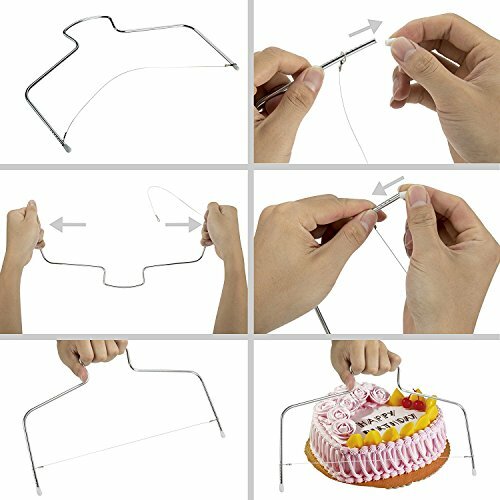 while gently squeezing the butter cream out of the pastry bag and start decorating like a pro!